Don’t you just love Chef’N around? True to the nature of all Chef'N kitchenware products, the Bramble Berry Basket is nothing short of genius. Made from durable, BPA-free plastic, this clever basket features open slats that allow you to drain liquid from your berries, which means you can give them a rinse and then store them safely. The Bramble Berry Basket also stores inside a clear plastic container with a removable lid that locks in freshness, while the basket is designed to stack on top of other Bramble Berry Baskets for neat storage. The inner basket also doubles as a colander from which you can strain anything, from vegetables to small servings of pasta. Is that smart design or what? Made from durable BPA-free plastic. Removable inner basket for draining liquid from berries. Store and serve fresh berries. 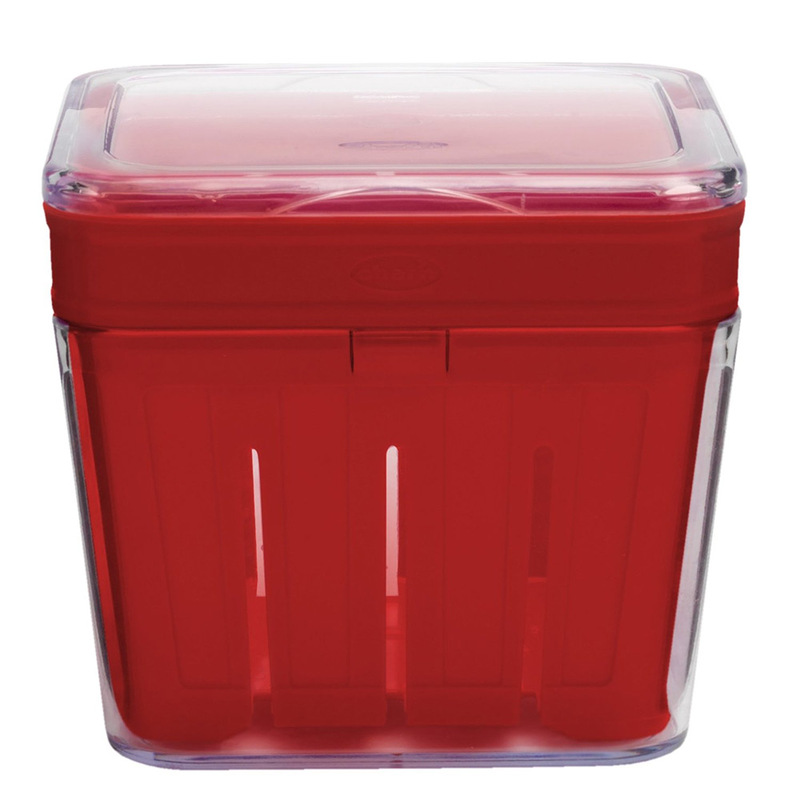 Basket stores inside a clear plastic container with a lid to lock in freshness. Stackable design for neat storage. Dimensions: 11cm (w) x 10cm (h) x 11cm (d).